The most comprehensive visual effects and motion graphics plug-ins collection available. Mocha can be used to generate user-defined closed spline shapes, which can be tracked individually or as a group using the Mocha planar tracker. These static or animated mask shapes can then be used to isolate the result of any filter to a specific region in the source shot (e.g., isolating a blur to someone‘s face). The Mocha tracker can also be used to drive other filter parameters, such as screen/billboard replacement, face tracking, etc. Fun Fact: Mask and tracking data from any Mocha session can be exported and used in any other Mocha session. This includes sharing tracking mask and tracking data from Mocha Pro and the integrated Mocha in Continuum, or even, Sapphire. Find out why Continuum customers who get a taste of Mocha lite in Continuum often upgrade to the full version Mocha Pro. Transitions in Continuum are a major time-saver for anyone facing constant deadlines. Continuum includes almost 40 drag & drop auto-animating transitions with over 500 professionally designed factory-installed presets. Every transition filter in Continuum also includes sophisticated yet easy to use HUD style on-screen controls, which can be used to make quick adjustments to the timing of the animation and the look of the transition effect. Editing and finishing immersive 360 videos is a time-consuming task. The VR Unit gives editors five new 360 optimized filters to speed up post workflows. Work inside your host timeline while avoiding the seams inherent to regular non-VR filters. Supports 180, 360, mono, and stereoscopic! Based on Mocha VRs award-winning 360/VR tech. The new filters are VR Reorient, VR Insert, VR Blur, VR Sharpen, and VR Flicker Fixer. Learn more about the Continuum VR Unit. With the touch of a button, the FX Browser can be launched from within each individual Continuum filter providing instant access to that filters library of animated and static presets. All effect presets playback over the filtered source video in your timeline from within the FX Browser interface, which includes a handy trim feature enabling you to preview only a select portion of the filtered source clip. It‘s back! Renowned Particle Illusion (formerly particleIllusion) gets a total overhaul in Continuum 2019. Redesigned from the ground up as a 64-bit application, Particle Illusion gives editors and artists access to an easy-to-use, powerful, high-end particle and motion graphics generator. 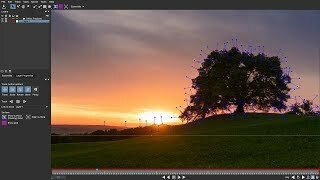 Instantly create preset-driven photorealistic motion-tracked particle effects for titles, lower thirds, and background graphics. 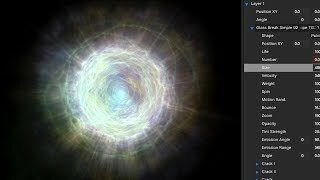 Particle Illusion is available inside Continuum 2019 as a plug-in and as a standalone application. Particle Illusion is also included in the Particles Unit and as individual Premium Filter. Whats the difference between Mocha tracking inside Continuum and the full Mocha Pro version? Compare.